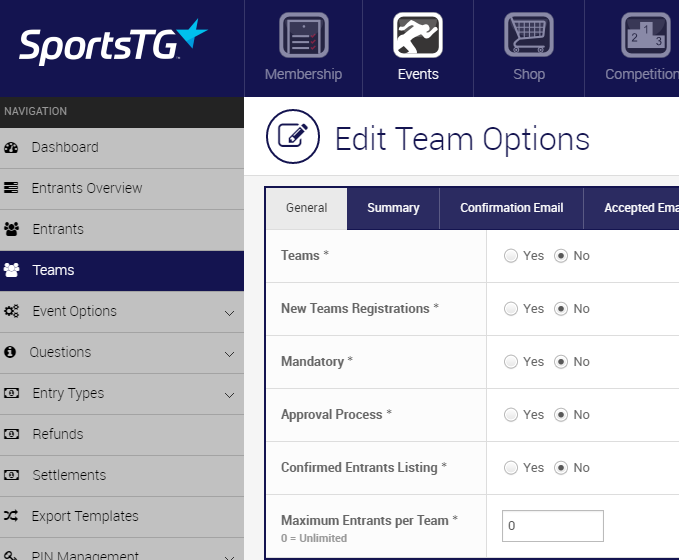 Team entry is very popular in most events, and this is option is available through the SportsTG Events platform. 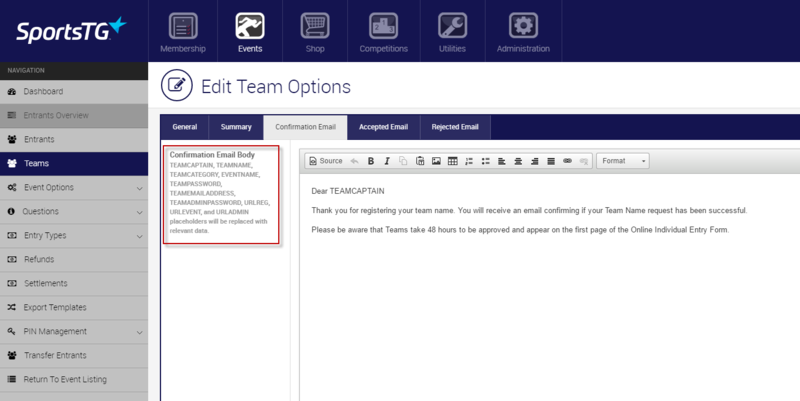 Having teams enter does not mean that people cannot register as individuals, however, it allows your entrants to create their own teams as well as manage them. Approval Process - Is there an approval process on each team.